B' Essentials GHE is a concentrated additive comprising various trace elements designed to favor a harmonious growth of Marijuana plants and to prevent them from entering in deficit or vulnerability states during growth. 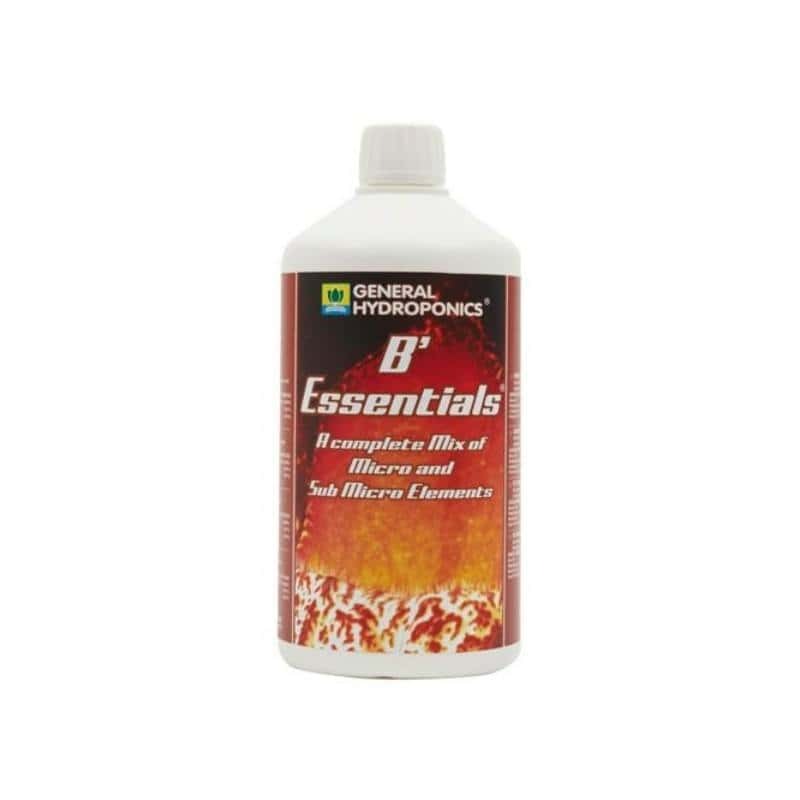 B' Essentials GHE is a concentrated additive comprising several trace elements in chelate form, crucial microelements and organic regulators that together favor a harmonious growth of Marijuana plants and to prevent them from entering in deficit or vulnerability states during growth. Trace elements are nutrients that along with with primary and secondary components are crucial for a balanced plant growth. B' Essentials has these elements in the chelate form, what menas they will only be released when the nutrient solution becomes scarcer thus protecting the plant from a harmful excess of salts. In addition, the organic regulators presented in B'Essentials are extremely important to maintain a correct pH level of the solution that is usually deregulated due to the great mineral uptake by the plant during its growth. Besides that, these mediators also control the amount of calcium which is an important role in case of hard waters. 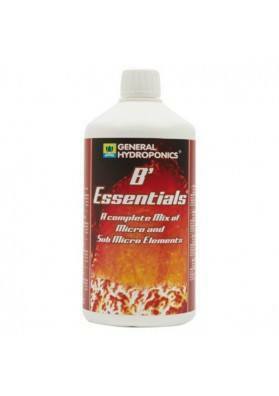 B' Essentials GHE is an organic additive and can be combined with any type of biological fertilizer except with fertilizers from General Hydroponics since these fertilizers already have all the necessary components to feed the plant. This additive is suitable for cultivation mediums such as soil, hydro and aero-hydroponics. Add of 2 ml of B' Essentials per liter of water if you use it as a foliar spray; 5 ml per liter of water in hydroponic systems; and 3 ml per liter of water on the soil.